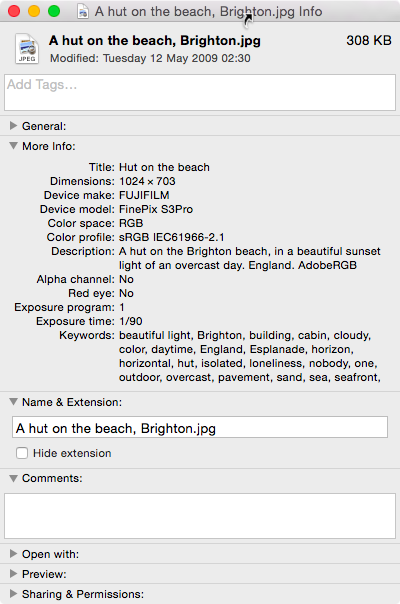 Surely there is plenty of powerful and complex software (Bridge, Lightroom…) that can edit the EXIF keywords of the image files. 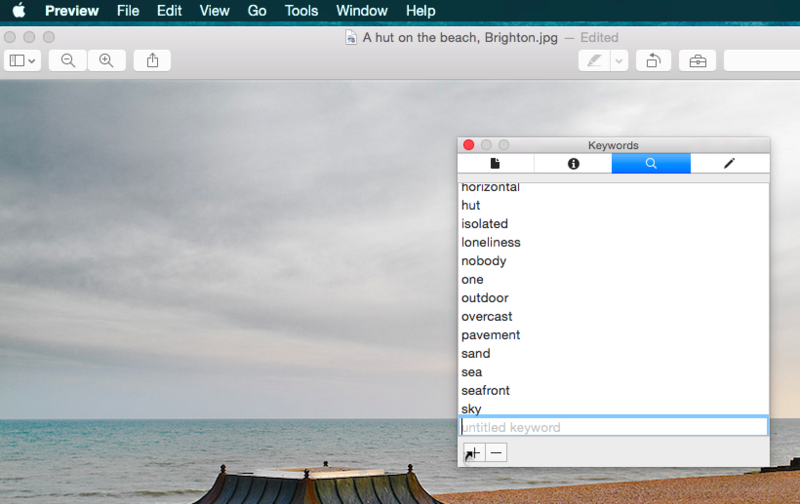 I wanted to do simple keywords editing without adding any (expensive) software on my Macbook.Unfortunately, Photos, the app installed with the operating system, can only edit keywords of photos either copied to its catalogue or merely indexed-in either case, the original file’s keywords stay untouched. 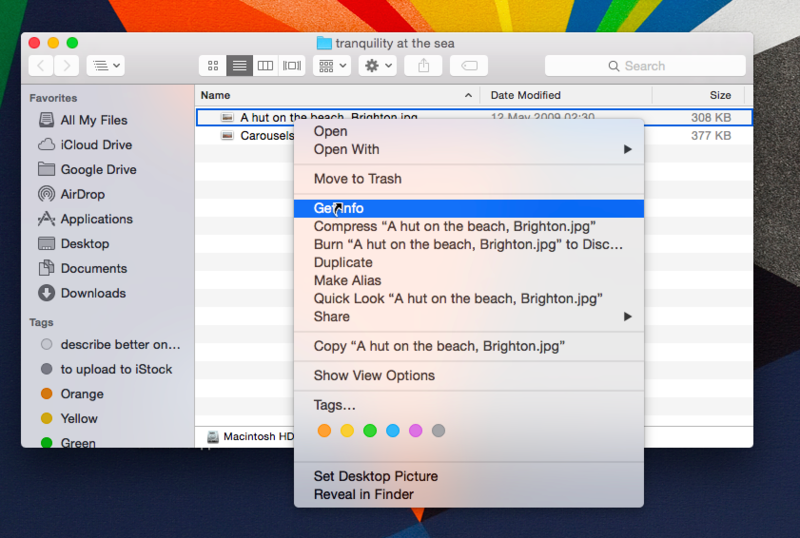 …however the result is a window where the keywords can be read yet not changed. 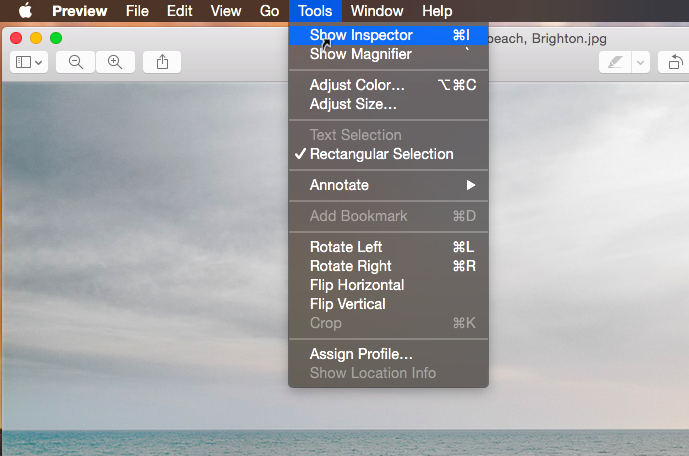 The third tab in the Inspector finally allows the addition (+) and the removal (-) of the metadata keywords. I hope that my description of this simple yet hidden solution may be of help for some readers, just as it would have been for me when I searched for solutions and free simple software to perform this task.